Customers can get a prepaid debit card without a credit check and even if they have a record in ChexSystems. Not to be confused with credit cards, prepaid cards must be loaded with cash before you can make purchases. You don’t carry a balance, there’s no monthly minimum payment due​ and no interest to pay. Think of it as a debit card without the checking account attached. When you’re choosing a prepaid card, you want to look at two main things: how easily can you load money and how many fees are charged to the card. The easier it is to load and the fewer fees you pay, the better. The prepaid cards on our list have a variety of fees and features – some even give you access to high yield savings accounts that let you earn interest on your deposits. American Express Serve Cash Back prepaid cards is the only prepaid card that pays rewards on your purchases. Cardholders earn one percent cash back each time they shop with their prepaid card. If you think you’ll spend more than $600 per month on your prepaid card, you’ll benefit from having the American Express Serve Cash Back. Why $600? The Serve Cash Back charges a $5.95 monthly fee – you’ll need to spend at least $595 on your card to break even. There’s no additional fee for direct deposits and a $3.95 fee on cash reloads. Your card also comes with purchase protection benefits. If something happens to an item you’ve purchased on your prepaid card within 90 days of the purchase date, American Express will reimburse you up to $1,000. Note that the Amex Serve has two other variations: Classic which charges no fee monthly fee as long as you have a direct deposit of at least $500 and FREE Reload, which charges $4.95 per month, but doesn’t charge a fee to make cash reloads to your account. Here’s another prepaid card from American Express. The Bluebird by American Express is great for people who want to avoid fees. There’s no monthly fee, no overdraft fee, no fee for direct deposits and no fee for bill pay. There’s no fee load to load if you do it via cash or debit card at Walmart or online with a debit card. You may have to pay up to $5 if you get your credit card from a retail location. There’s a fee of up to $3.95 to load cash at other retail locations. ATM withdrawals are free if you use a MoneyPass ATMs. Otherwise, you’ll pay $2.50 ATM fee. Bluebird by American Express also gives you access to bill pay and mobile check capture – a feature that allows you to deposit mobile checks directly into your prepaid account. Funds added via mobile check capture are available up to 10 days with no fee or you can pay an additional fee to have the funds available within minutes. The Mango Visa Prepaid card comes with a savings feature that allows you to earn one of the highest yields on your savings account. When you open a savings account with your Mango card, you’ll get up to six percent APY and the option to make six transfers out each month. You’ll need a net direct deposit of at least $800 and a minimum balance of $1.00 at the end of the month to qualify for the six percent APY. There’s no signup fee, no activation fee, as well as no bank transfer load fee (from Mango. Your bank may charge a fee). The fees charged are simple: you’ll pay $1 to make an ATM balance inquiry, $2 ATM withdrawal fee, $3 monthly fee, as well as a two percent international currency conversion fee. You can use your Mango Prepaid Visa wherever Visa is accepted and manage your account via smartphone app. 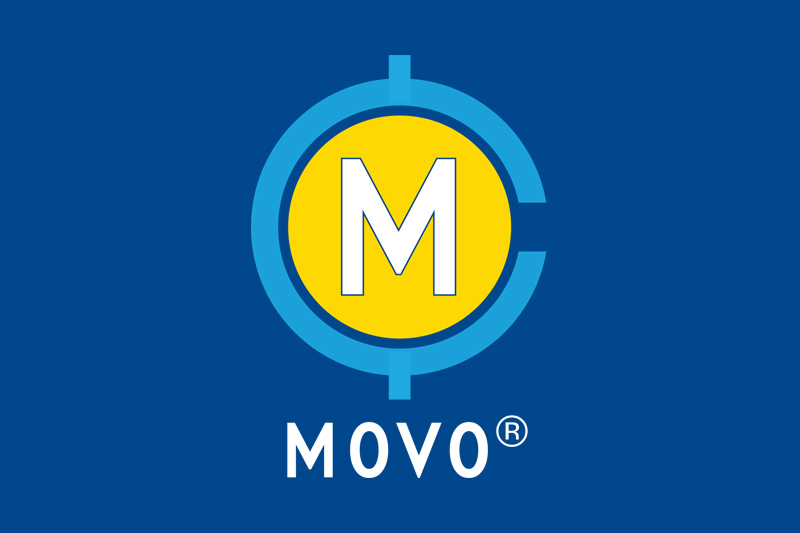 The MOVO® Digital Prepaid Visa® Card has a unique way of protecting your transactions for online purchases. You can create a one-time secondary card with its own card number. Use this disposable card number for making online purchases while protecting your primary account number from hacks and data breaches. Use the card for making online and in-person purchases. Access a free ATM network with more than 6,000 ATMs. A $2 fee is charged for withdrawals outside the network, in addition to the fee charged by the ATM operator. You’ll also be charged a $1 fee if your ATM transaction is declined, for example, if you attempt to withdraw more than your balance. You have a variety of options for reloading funds: Direct Deposit, bank transfer, Paypal or Venmo balance withdrawal, debit card transfer, or cash load at participating retailers. Some reload methods can take up to three business days for funds to become available. There are no monthly fees or costs to activate the card. You also won’t be charged for inactivity. There are no fees on purchases you make with your MOVO® Digital Prepaid Visa® Card. You’ll be charged 75 cents for each bill payment. With the Paypal Prepaid MasterCard, you can link your card to your Paypal account to access transaction history and other online features through the web or via mobile app. You’ll also be able to transfer money from your Paypal Account to your prepaid Paypal MasterCard account. There’s no purchase fee when you order your card online. You can reload online using or at a retail reload location. Direct deposit is free. Plus, the Paypal Prepaid MasterCard gives you access to your funds 2 days faster than with traditional banks. Get access to special offers and cash back rewards. For example, if you open a tiered-rate savings account through The Bancorp Bank, you’ll earn five percent APY on balances up to $1,000. As a referral incentive, you and a friend both earn $5 when you refer the friend to the card and the friend activates and loads $110 onto their card. The Fifth Third Access 360 Reloadable Prepaid Card has a sort of “authorized user” feature that allows you to add a co-account holder to your card. You can use it to give a nanny access to a prepaid card or to have siblings share a prepaid card account. You can easily add load money by depositing cash, signing up for direct deposit, or by transferring funds from a Fifth Third checking or savings account. There are no fees to open or add to your account or to withdraw or transfer money to your card. You can easily track your purchase history using the mobile app or online banking. The $4 monthly fee is waived if you have a Fifth Third checking account or deposit $500 or more to your card in a monthly period. You can withdraw cash at more than 50,000 fee-free ATMs across the country. Otherwise, you’ll pay a $2.75 fee when you use a non-Fifth Third ATM. That’s on top of any fee the ATM operator may charge. The card charges a few other fees: $5 for an international ATM cash withdrawal, .20 percent currency conversion fee, $30 expedited shipping fee; $80 garnishment fee. If you live in one of 23 states with a Chase Bank, the Chase Liquid Card is one of the best you can have. You’ll avoid most transaction fees by using Chase ATMs to load funds or withdraw cash. There’s no fee to open the account – though you must visit a Chase branch to open your account. Funds deposited to your account are FDIC insured up to the maximum amount allowed by law. And chip security adds an additional layer of security when you use your prepaid card at a chip reader. The $4.95 monthly fee is waived if your prepaid card is linked to a qualifying Chase checking account. You’ll be charged a $2.50 fee when you use a non-Chase ATM to withdraw cash from your account. There are also fees for using your credit card outside the United States, for having a deposit or cashed check returned, if you need to replace your card or if you have a levy or garnishment processed against your account.